Big aluminum basket with easy access door has 180 degree rotation around the boom tip. Hydraulic winch at the basket can lift up to 1,000#. Versalift VST47 set up specifically for sign work. Large tail shelf maximizes open bed space for hauling long cargo. The VST 47 is a revolutionary design that incorporates the reach of a large boom with the maneuverability and convenience of a class five chassis. With over 51' of working height and 31' of horizontal reach, this aerial device on a 19, 500# chassis is in a class of it's own. The material handling jib has 1, 000# capacity with a single-man bucket. 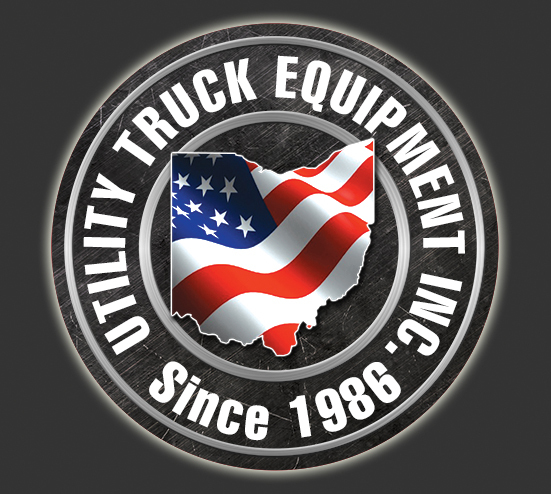 This package can be mounted up with a fiberglass utility body on an F550 chassis with lots of payload left over. You get an aerial device with the reach that usually requires a very large medium duty chassis. This saves a lot of money in both the acquisition cost and the fuel burned throughout its life cycle. Your work crews will probably like driving a smaller truck in lieu of the big CDL chassis. 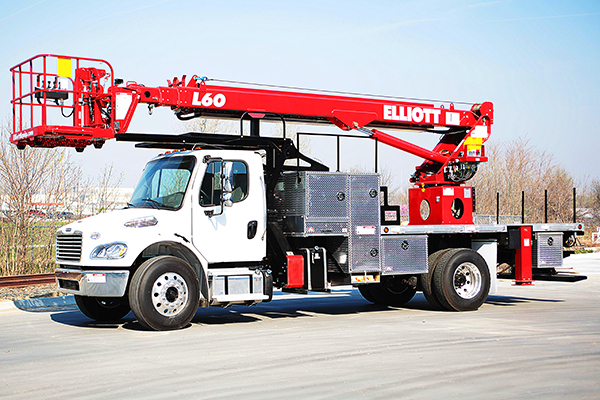 Elliott High Reach boom truck platform lifts–excellent for sign and lighting applications.